Apollo 17, Lunar Module Liftoff, Television Image. 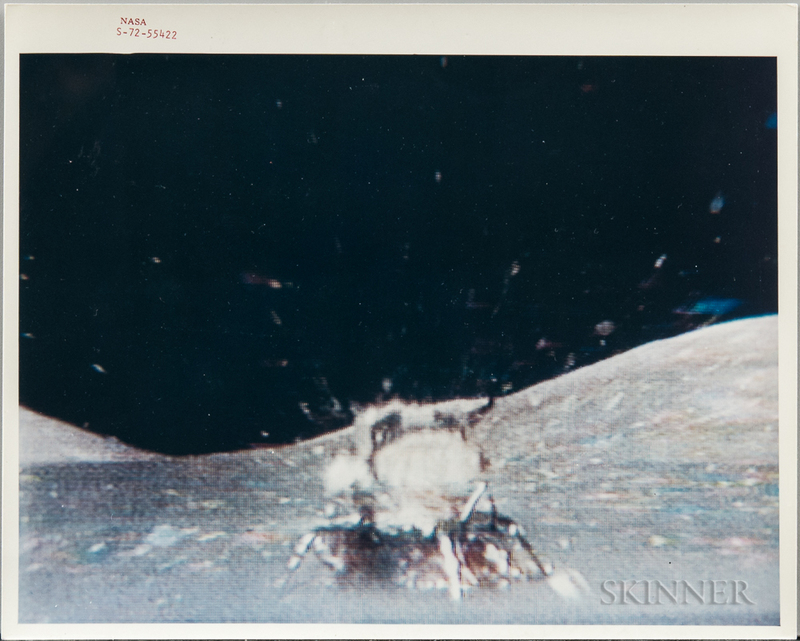 Apollo 17, Lunar Module Liftoff, Television Image. Color 8 x 10 in. photograph, red lettering on recto: S-72-55422, verso with purple caption, round logo, and "A Kodak Paper"; showing LM Challenger's ascent stage as it lifts off rom the Taurus-Littrow landing site.